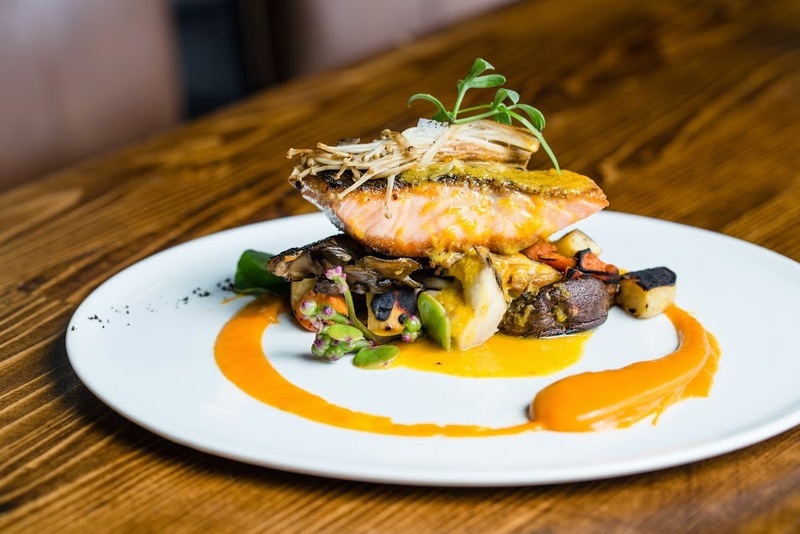 Located off the beaten path in Little Italy, Sirena Gourmet Latin Seafood Restaurant has become known for its delicious Latin twist on seafood and almost-too-pretty-to-eat plates and has recently unveiled new spring, happy hour and seven-course chefs’ tasting menus. The new menus showcase a mastery of seafood from the catch of the day and octopus, to oysters and ceviche, as well as new vegetarian additions that promise great flavor without sacrificing the unique Latin gourmet experience for which the romantic eatery is known. 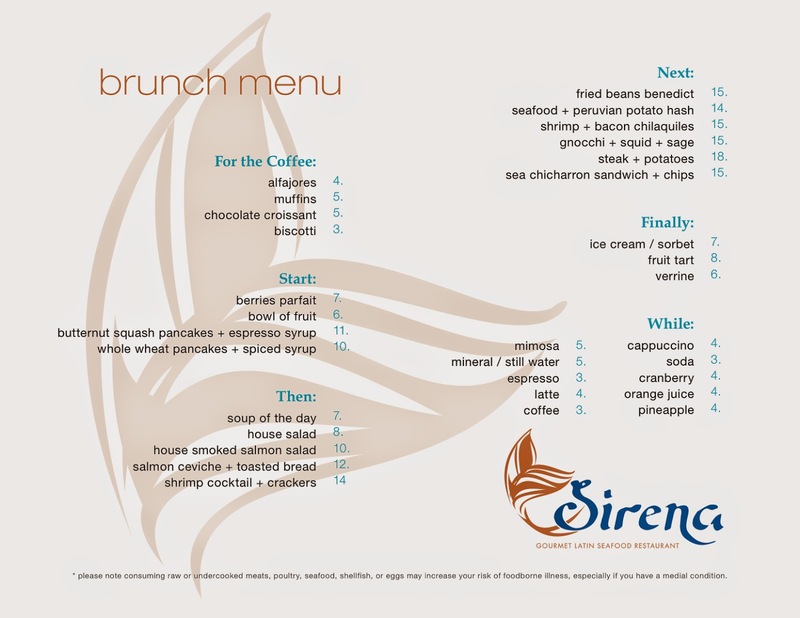 At the centerpiece of Sirena is art - from beautiful plating to ever-rotating ocean-inspired chalk drawings by a local artist. 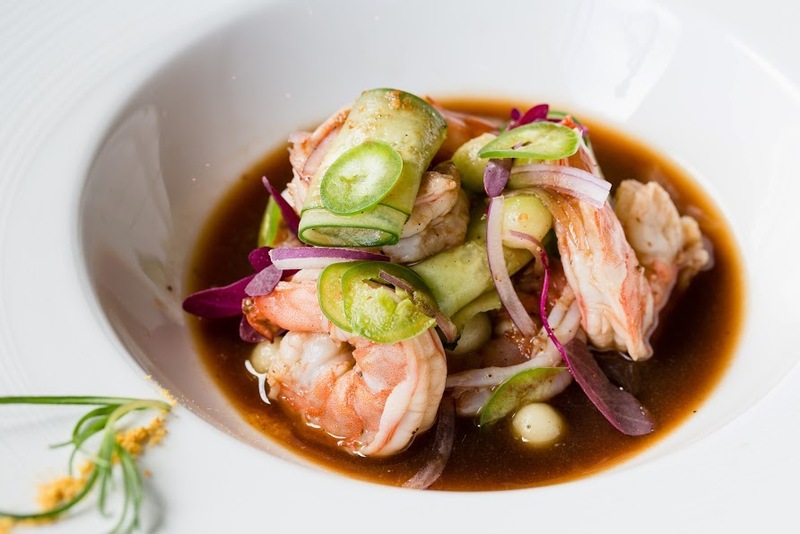 The new spring menu boasts an expanded nikkei and raw bar, featuring Japanese-inspired raw seafood dishes with new creations such as Angelmo Oysters with salmon caviar, chimichurri, smoked paprika air and ice plants, El Coco Ceviche and El Vegetariano Ceviche. 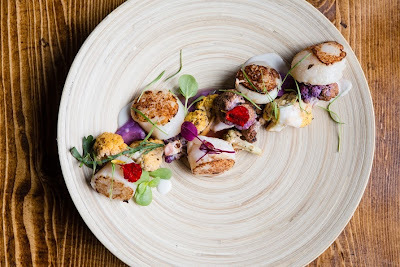 Among new salads, enjoy Squid & Peas (shaved fennel, baby artichokes, English peas, pea vines, crispy bacon, mint vinaigrette, shaved celery and lemon sorbet). 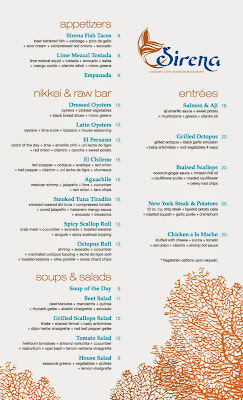 The updated entrée section yields not only an exquisite selection of seafood dishes including Braised Scallops with coconut ginger sauce, cauliflower purée, roasted cauliflower, celery root chips, as well as playful non-seafood items including New York Steak and Potatoes with rosemary roasted Peruvian potatoes, chimichurri, caramelized onions and egg). 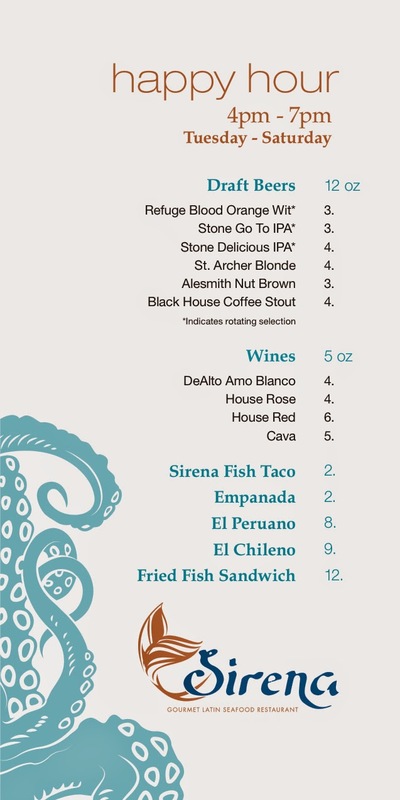 Sirena's new happy hour menu is offered on Tuesday through Saturday from 4-7pm and includes a selection of reduced priced beers ($3-4), wines ($4-6) and snacks, including $2 fish tacos, $2 empanadas and more. The chefs tasting menu is rotated almost on a daily basis and is offered with the regular dinner menu, featuring daily specials, Chef Jaime's favorites and on-the-wh. 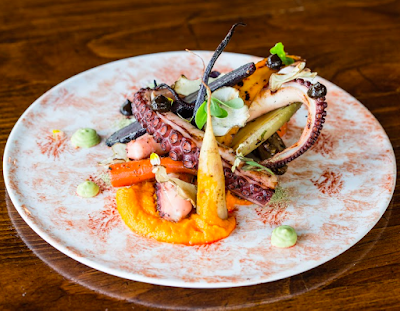 In the midst of the hotbed of Italian eateries, Sirena is a refreshing detour worth taking. 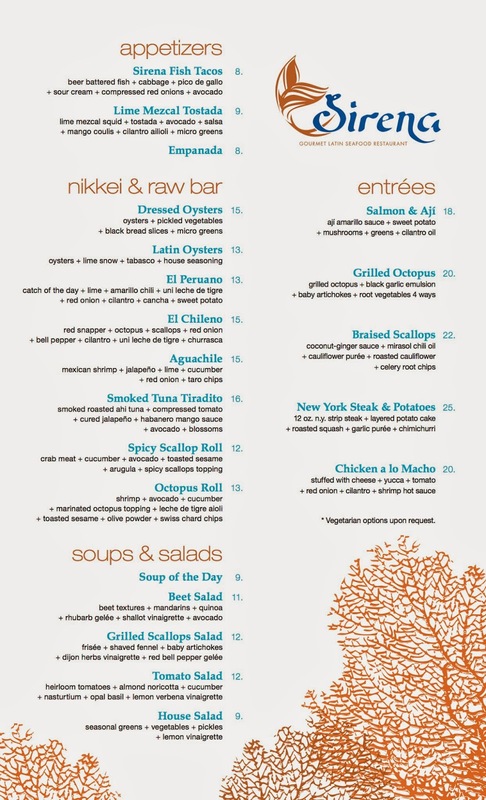 And here’s a secret - the entire menu, from ceviche to scallops, can be made vegan, upon request. 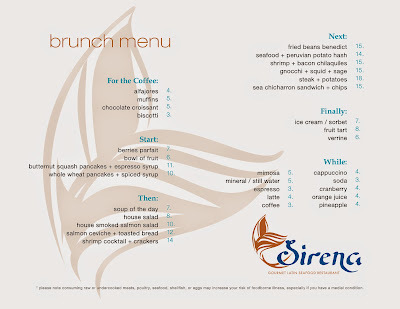 Sirena Gourmet Latin Seafood Restaurant is located at 1901 Columbia Street in Little Italy. 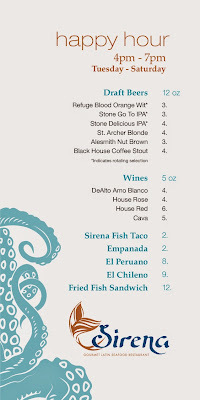 For more information, call (619) 564-8970 and visit sirenagourmet.com.